The entire SEO industry experienced a major transformation over the past two years. As a result, many online marketers have dramatically changed their strategies. Ranking high in Google for competitive keywords is not as easy as it was three years ago. This is a guide that will help you understand what negative SEO is and how you can protect your business from becoming a victim. If you are serious about building your brand online and keeping it safe, this is something you should not ignore. Yes, no doubt about that. Negative SEO is real, and numerous websites have had to deal with this problem. Preventing it is much easier than fixing it. If you conduct a search on Fiverr for “negative SEO,” you will find over 15,000 people willing to do the work for only $5. Also, black hat forums are full of stories from people who have succeeded with this technique. Google has released the Disavow Tool to help webmasters deal with this problem, but the tool should be used with caution and only as a last resort. It usually takes 2-4 weeks for the tool to work. Can you afford to have your website penalized for 1 month? No one can! I will show you how you can prevent these attacks and keep your business safe. If you haven’t already, connect your website to Google Webmaster Tools. This is just the first step. Now, let’s move to the important one, monitoring your backlinks profile. This is the most important action to take to prevent spammers from succeeding. Most often, they will perform negative SEO against your website by building low quality links or redirects. It is vitally important to know when someone is creating links or redirects to your website. 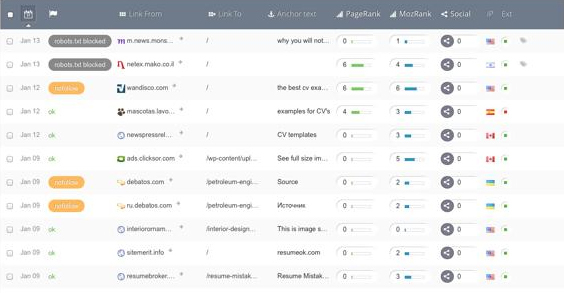 You can use tools like Ahrefs or Open Site Explorer, from time to time, to manually check if someone is building links to your website, but the one I recommend you use is MonitorBacklinks.com. It’s one of the best and easiest tools that can send you email alerts when your website gains or loses important backlinks. 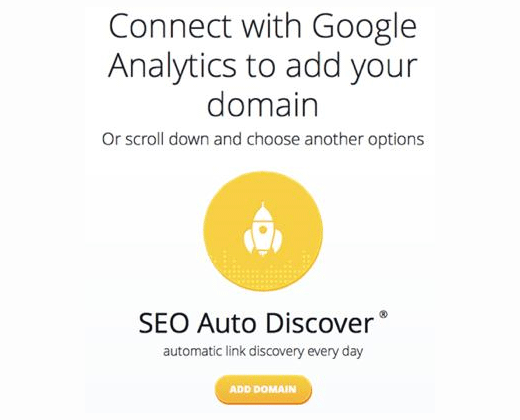 Once you have created your account, it will require you to add your domain and connect it with your Google Analytics account. Very often, spammers will try to remove your best backlinks. They usually contact the website owner of the link, using your name, and they request the webmaster to remove your backlink. When you communicate with webmasters, always use an email address from your domain, instead of using Gmail or Yahoo. This way, you will prove that you work for the website and that it’s not someone else pretending to be you. Your email should look like this: yourname@yourdomain.com. Keep track of your best backlinks. For this, you can use Monitor Backlinks again. 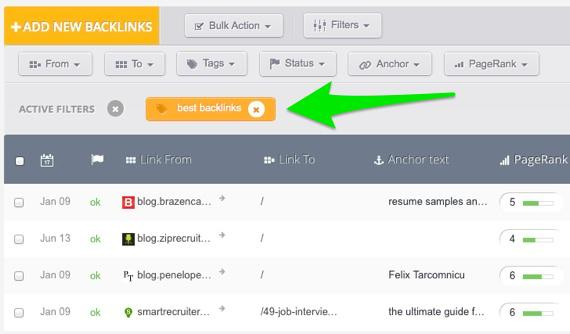 Go to your list of backlinks and sort them by Page Rank or social activity. Add tags to the backlinks you value the most so you can verify if any of them get removed. 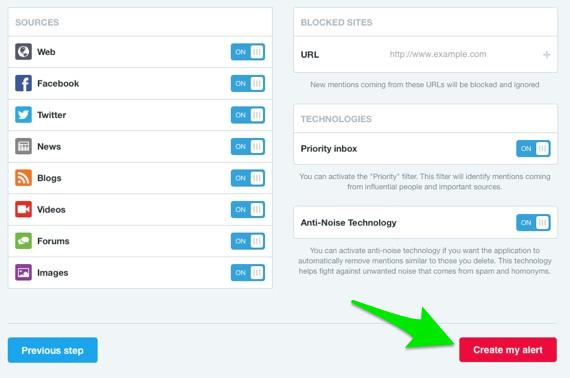 Add your tag, so you can later filter and find these backlinks easily. After you have created your list, filter them by your tags, and monitor if their status changes. If any of these links are removed, you should contact the webmaster and ask why they removed your link. If you are using WordPress, install the Google Authenticator Plugin and create a 2-step verification password. Each time you log in to your WordPress website, you will be required to add a code generated by Google Authenticator on your smartphone (available on iOS and Android). Create a strong password with numbers and special characters. Create backups of your files and database on a regular basis. If your website lets users upload files, talk to your hosting company and ask them how you can install antivirus to prevent malware. One of the most common techniques spammers use is content duplication. They copy your website content and post it everywhere they can. If most of your content is duplicated, there’s a big possibility that your website will be penalized and lose rankings. You can check if your website has duplicate pages on the internet using Copyscape.com. Simply add your website, or the body of the article you want to verify, and it will show you if your content is being published somewhere else, without your permission. Sometimes, spammers will create fake accounts on social media using your company or website name. Try to remove these profiles by reporting them as spam before they start to get followers. To find out who is using your brand name, you can use tools like Mention.net. As soon as someone mentions your name on any social media or website, you will be informed, and you can decide whether you should take action. Select the sources you want Mention.net to look for, and add the domains you want to be ignored. 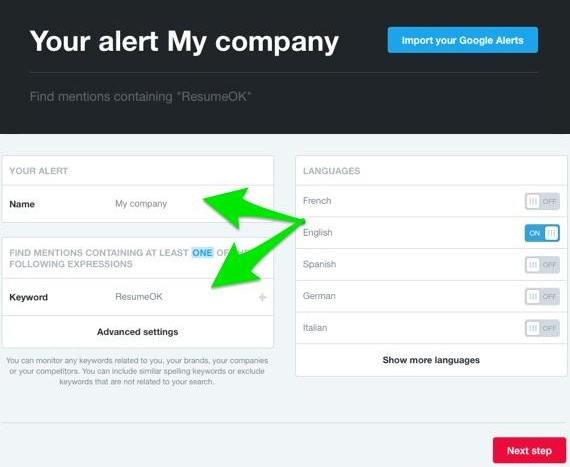 Click “Create my alert,” and you will receive alerts every time your keyword (company name) is mentioned on social media, blogs, forums, and news. If your website suddenly has a very high loading time, make sure it’s not because someone is sending thousands of requests per second to your server. If you don’t act fast to stop this, spammers may put down your server. 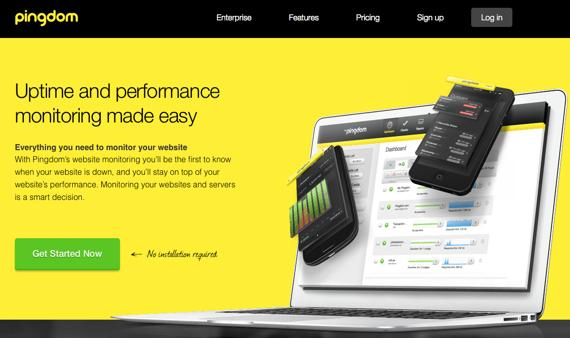 A great tool that can help you monitor your server uptime and loading time is Pingdom.com. Create an account and activate “email alerts,” so you will know when your website is down. If your site is being attacked, contact your hosting company and ask for support as soon as possible. Don’t link to penalized websites. Don’t buy links from blog networks, and don’t buy links at all for SEO. Don’t publish a massive number of low quality guest posts. Don’t build too many backlinks to your website using “money keywords.” At least 60% of your anchor texts should use your website name. Don’t sell links on your website without using the “nofollow” attribute. Check the links to your website that were recently created, and choose the bad ones, so you can try to remove them. Add tags to your bad links. Check these manually and decide which ones are hurting your rankings, and try to remove them. Create this list as soon as you receive email alerts with new backlinks you are not aware of, if they look like spam. After identifying the backlinks you should remove, contact the webmaster of the website and request that your link be removed. If you can’t find any contact page, use Whois.com/whois to find a contact email address. If your link is not removed and you don’t get an answer, either, you can contact the company that’s hosting the website and ask them to remove the spammy links. Most hosting companies will help you and remove the links. Check who is hosting the website on WhoIsHostingThis.com. You can use the Google Disavow Tool if you have received a manual penalty. So, if none of the above methods worked, create a disavow list that you can later submit to Google Webmaster Tools. 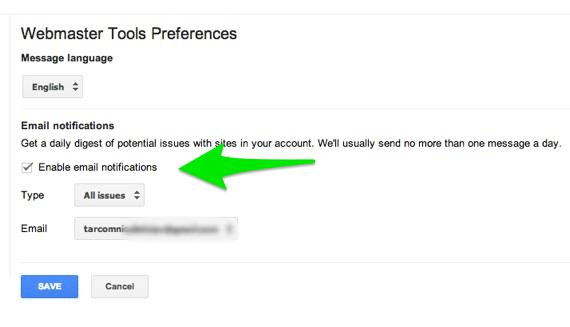 Create email alerts from Google Webmaster Tools. 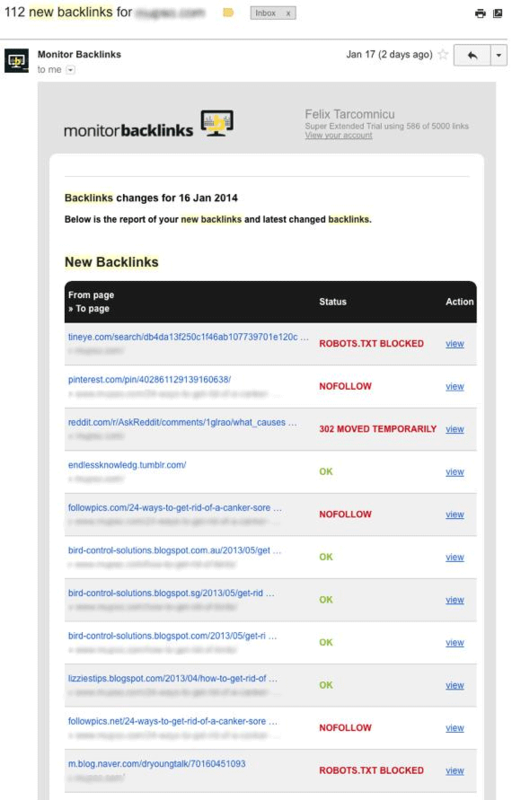 Track your backlinks profile and get email alerts when you get new links, with tools like MonitorBacklinks.com. Secure your website from malware and hackers. 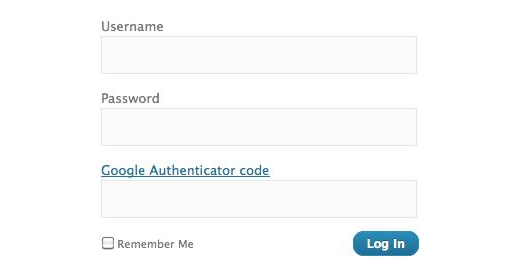 Use the Google Authenticator plugin for WordPress. Check for duplicate content with Copyscape.com. Find mentions of your company name on social media and websites with Mention.net. Monitor website uptime with Pingdom.com. Don’t accidentally use negative SEO against your website. Following these ideas you will certainly achieve a better SEO ranking. Just remember that SEO is a constant work that deserves frequent reviews.